I have been watching the weather.com forecast for Montpelier, VA all day and it has changed back and forth all day but at this moment the forecast for 10:00 am on Sunday is 38 degrees with a 50% chance of rain. The chance of rain stays at 50% till 2:00 when it goes up to 60%. The rain chances are greater north and west of Richmond, where the range is located. So, based on this forecast it seems very likely that the range will get rain at least some of the time during our shooting window. With the combination of cold temperatures, a slight wind and a good chance of rain, this just is not good shooting weather. I hate to cancel matches, and the actual weather conditions on Sunday may show that I made the wrong decision, but that’s the way things work sometimes. Let’s all put in a good word with the man upstairs for better weather at all of the area cowboys matches the rest of this winter !! The Cavalier Cowboys are planning on holding their match this Sunday, January 5th, 2014. The current weather.com forecast calls for a high of 48 and a low of 33, that is on the cold side but warm enough. I will send out an update by 9:00 pm on Friday with our final decision and also the status of our after the match activities. The gate will be open between 8:00 and 9:30, Registration will run from 8:30 till 9:30, Mandatory Safety Meeting will be at 9:45 and the Match Begins at 10:00 am sharp. The cost is $15.00 for an individual, $25.00 for couples, $0.00 (free) for those 18 and under and CR&PC members are $10.00. Additional details are available on our web site at: www.cavaliercowboys.org. We plan on having the burn barrel going and will be shooting straight through but will accommodate folks who need to take breaks for snacks and facilities. The stages have been written by me and are attached in both MS Word and PDF formats. We have decided to cancel the Cavalier Cowboys Match for Wednesday, December 11th, 2013. The weather.com forecast has a “feels like” forecast of 32 degrees for Noon on Wednesday and all most all of our regular Wednesday shooters are unable to attend the match. The 2nd Wednesday Match Program at Cavalier Cowboys will officially take the January and February months off, as we always have, and resume on March 13th, 2014. However, if we should happen to have a nice warm 2nd Wednesday before then, we may call a match to take advantage of it. Merry Christmas and Happy New Years !!!!!!!! 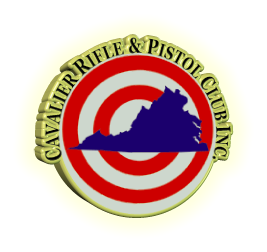 The Cavalier Cowboys will be shooting this coming Wednesday, December 11th, 2013, at the Cavalier Rifle & Pistol Club. Setup will start and the gates will open at 10:00 am, Registration will start at 11:00 am, the Mandatory Safety Meeting will start and the gates will close at 11:45 am and the Match will begin at 12:00 Noon. The costs is $15.00 for non members and $10.00 for members of CR&PC. Additional information is available on our web site at www.cavaliercowboys.org. Currently the weather forecast is looking decent for Wednesday, if that changes an update will be sent out no later than Tuesday, December 10th, 5:00pm.